April, 2019 | Fresh Air, L.P.
We are very excited to announce that our company owner has been bestowed Carrier’s highest honor due to his contribution and service to the heating, ventilating, and air conditioning (HVAC) industry, his customers, and his community. Posted in Announcement | Comments Off on Owner Sonny Roncancio Inducted into Carrier® Hall of Fame! The official start of spring just a couple weeks ago was a great reminder that even warmer temps are right around the corner. If you’ve lived our area for even just a year, you know how uncomfortably hot it gets as those temps climb. This means that now is the best time to think about your air conditioner. If you have a system less than 10 years old, this means getting maintenance on your schedule. If it’s any older than that, it means it might be time for an upgrade. 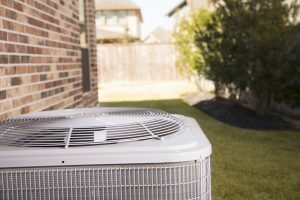 Purchasing a new air conditioner, though, is not something you should rush—for a few reasons. The good news is, when you contact our team we will help you make an educated decision on what type of air conditioner to buy—and most importantly, what size.